by richardelliott	on 18/01/2018 . For our skin, winter is the harshest season. The extremely cold temperatures can make our skin tight, dry and sad, leaving us looking worn out before the year has even properly begun. As explained in our previous post, New Year, New Skincare Routine, many a New Year’s Resolution will have been to implement a new routine to combat the bitter weather, but, with such a wide range of options available, sometimes it can be a struggle knowing where to start. All of these will give you peace of mind that you are doing your best for your skin, and will help you avoid seeking more invasive procedures in the future. The word ‘oil’ can strike fear into the individual's mind, especially if you already have an oily skin type. But fear not! Did you know that certain oils can help regulate your skin oil production, reducing the amount that your skin generates, and benefitting your complexion long term? Whether you have dry, combination, sensitive, oily, or a normal skin type, finding the right oil for you can comfort your skin, boost its elasticity, and create a smooth, soft surface. Unsure about what type of skin you have? Work Out Your Skin Type with our handy guide. This amazing serum amplifies the skin’s hydraulic acid levels by up to 30% and is packed full of nourishing oils such as citrus and mandarin. The result is long-lasting hydration, which is paraben-free and dye-free. Perfect for sensitive skin, the Obagi Hydrate Facial Mosturiser restores radiance to your skin and promotes a smoother, healthier complexion. The gentle, hypoallergenic formula includes avocado oil, which has been dermatologically tested to be non-irritating and non-sensitising. 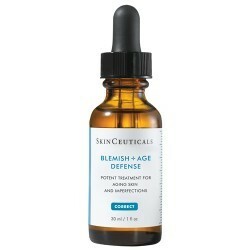 Skinceuticals Blemish & Age Defense has been created to target blemish-prone skin. The revolutionary formula inhibits excess sebum production, which contributes to acne breakouts. The formula also reduces signs of ageing, decongests clogged pores, and smooths and tones the surface of the skin. 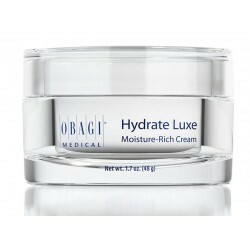 An overnight cream, the Obagi Hydrate Luxe is a perfect addition to your nightly skin routine. With extra-moisturising benefits, and a formula made up of essential oils and nourishing butter, the cream sinks into the skin overnight, allowing you to wake up with supple and firm skin. At Skin Station, we have a wide selection of serums and creams containing oils which are perfect for this time of year, and will put you firmly on route to beautiful skin. Contact us today for advice – our friendly team are ready to answer any queries you may have.